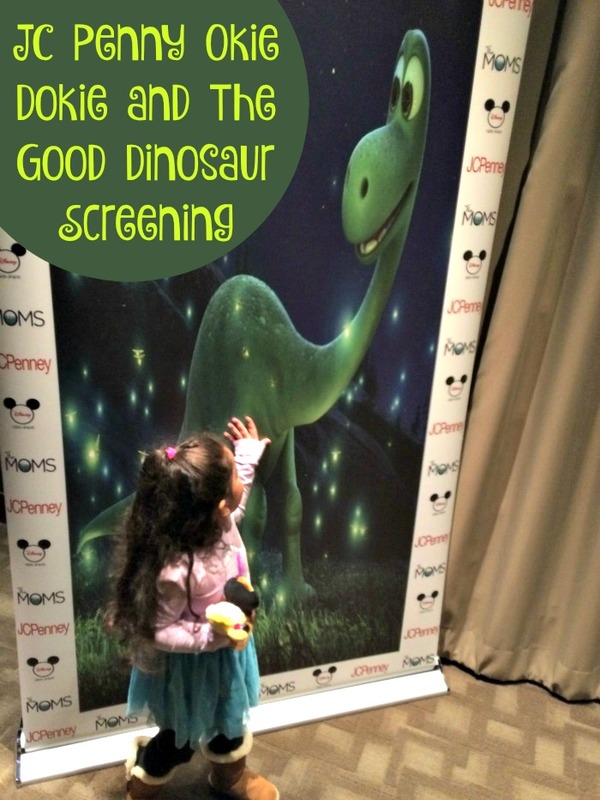 We were invited to attend attend theMOMs JC Penny Okie Dokie and Good Dinosaur Screening Event. We received an article of clothing from Okie Dokie. All opinions are 100% my own. "What if the asteroid that forever changed life on Earth missed the planet completely and giant dinosaurs never became extinct?" The Good Dinosaur movie answers that question with a story about the world of dinosaurs were an Apatosaurus named Arlo and a human named Spot meet. Spot helps Arlo face his fears and truly become the dinosaur he is meant to be. Before we got to go see the movie we got to check out the newest additions of Okie Dokie kids clothes from JC Penny. 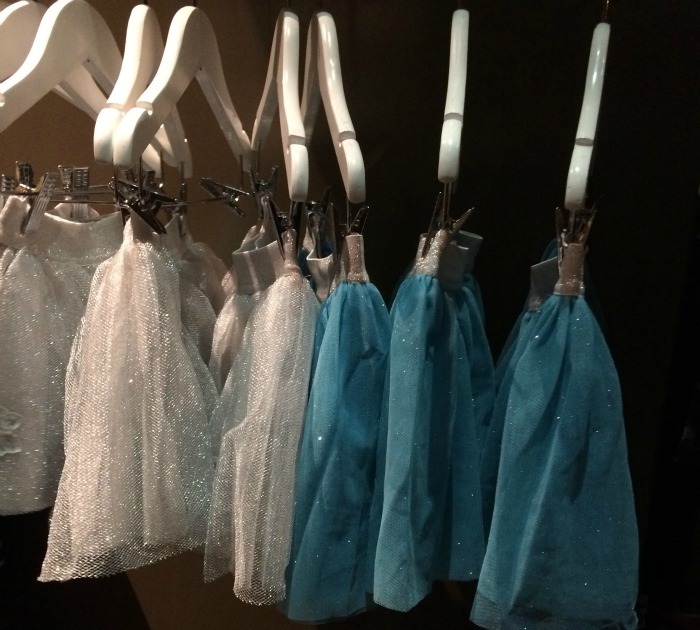 My daughter quickly eyed the rack full of sparkly tutu's! They had two beautiful colors to choose from and the lights really brought out all of the glitter in the skirts. Also embellishing the skirt was a silver glittery elastic and glittery snowflakes. We also got to see some cute sweaters and pants for boys with the Good Dinosaur characters all over. After she got to put on the tutu and model it in front of the big Arlo picture we went into the screening room. I was surprised that she sat and watched the whole thing! She is usually engaged and watching a movie only for the first half of it until we saw this one. As an adult I enjoyed it too. The sound effects and scenery were beautiful. The story was engaging for both a child and adult. I love the friendship that both Arlo and Spot have. Even though Spot doesn't talk in the movie it is great how he can still communicate with Arlo. In this stage of being a toddler they can be scared of many things so I love how this movie helps show that you can face your fears. This sounds like such a cute movie. I used to love to shop in JCP when there was still a store near me. I always knew I could find exactly what I wanted or needed at an affordable price. I haven't seen it yet, but I'm so excited to go to the theaters with my kids this weekend. Sounds like we need to stop at JCP and get dressed up first! This looks like such an adorable movie!! Your daughter has impeccable taste...those skirts are adorable!